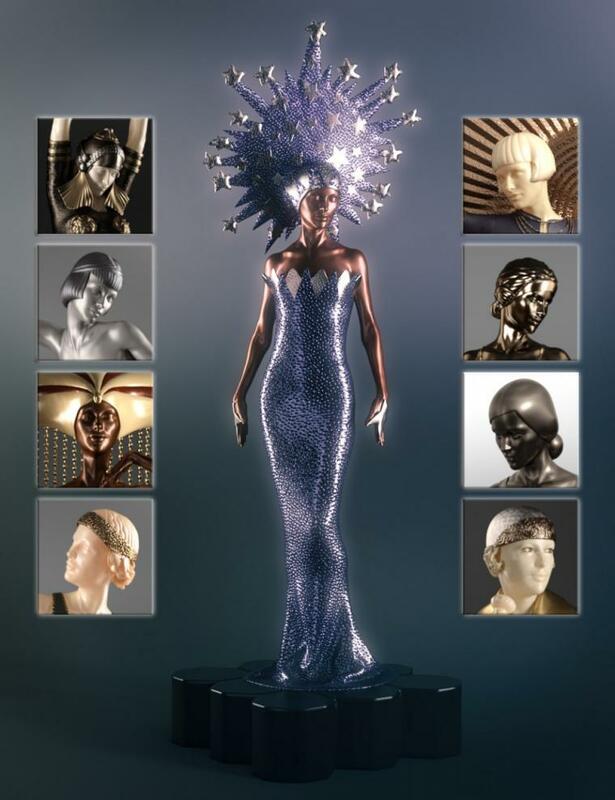 Inspired again by the wondrous world of design in the first decades of the last Century, this set can turn Victoria 8 into 15 figure statuettes, each made out of precious materials like bronze, silver, gold, ebony, ivory and a variety of marbles. 15 complete scene subsets are provided as well as all poses and their mirrored versions, and all Iray shaders used. The 15 single pedestals can be used to build your own Victoria statuette, the two pedestal clocks have movable hands to set your own time. Decorate any interior environment with statuettes and figurine lamps in Art Deco style!